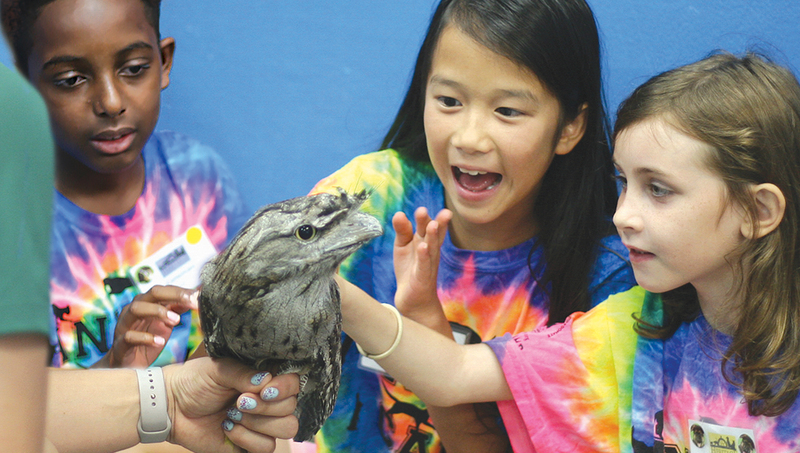 Animal Camp at Heritage Humane Society is an enriching animal experience designed to inspire young animal lovers. For our younger kid’s camp, they will learn first-hand about the pets in our animal shelter during this 5 day-long Animal Camp. Throughout the week guest speakers from the animal welfare field will be doing interactive presentations for the campers. In addition, each camper will get a chance to interact with a variety of pets at Heritage Humane Society. They will learn from our staff and volunteers what is involved in caring for the pets at our shelter. There will also be a variety of fun crafts and games throughout the week focused on animal welfare, biology, and conservation. The dedicated staff and volunteers will cultivate responsibility, compassion, and awareness in each camper that will be delivered over the course of a fun-filled week. . Animal Camp at Heritage Humane Society is an engaging up-close animal experience designed to inspire and educate animal lovers. For our older campers, each camper will learn first-hand from professionals in the animal welfare field through a variety of special guest presentations. In addition, each camper will be able to interact with a variety of pets at Heritage Humane Society, learn from the medical team about the process each animal goes through when it enters Heritage Humane Society, assist with creating a bio for a pet that they select, learn about the adoption process, and so much more. Campers will learn what is involved in getting the doors open each morning for the public to visit. We are also excited to include a new part of the older camper’s week. They will be taking a day-long field trip on the Wednesday of each camp week to Foxwire Farms in Toano, VA. While at Foxwire Farms the campers will have a fun and interactive tour that will introduce them to the full array of animals at the farm. They will get a chance to interact and learn about the farm animals there that include: ducks, chickens, donkeys, horses, goats, pigs, llamas, and alpacas.